Konjac sponges are gaining more and more popularity. They're available in different colors for different purposes. Konjac sponges are made of the roots of the konjac plant and you can use them on your face as a cleanser and/or exfoliator. Want to know more? Keep on reading! 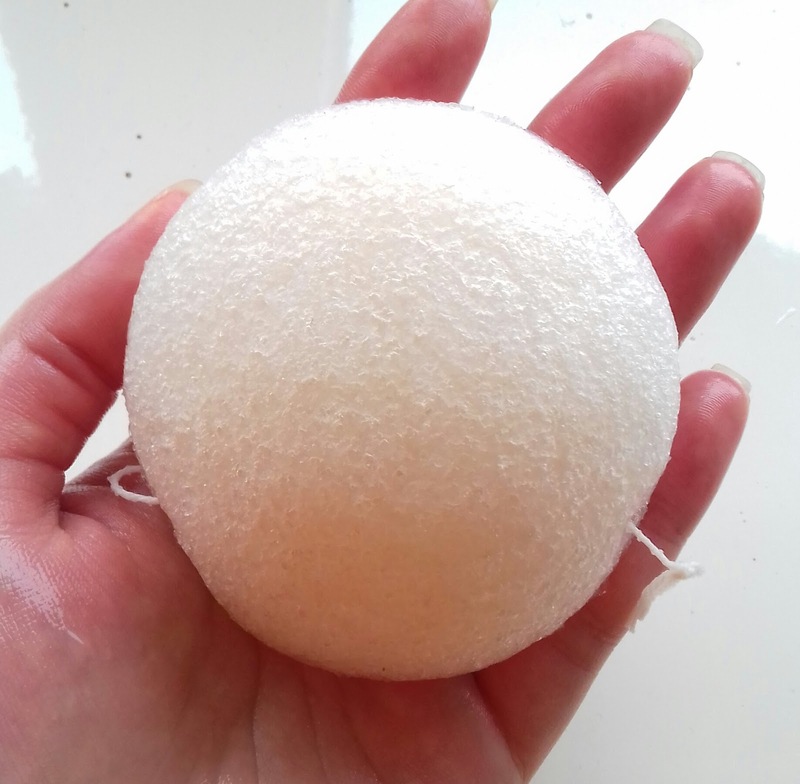 People are using the konjac sponge more and more because it's a 100% natural product. People nowadays start to realize that they're putting all kinds of chemicals on their face and want to go back to more natural products. Like I said before, there are different colored sponges. As far as I know there are the regular ones (white, suitable for babies and sensitive skin), red ones (red clay added), green ones (green clay added) and black ones (charcoal added). I have a regular one without any additives. I bought mine from Kiko. In some packages they come al dried up, so you have to dampen them yourself. Kiko ones are pre-dampened in distilled water. Cleansing sponge with purifying action, pre-dampened in distilled water. Made of 100% natural fiber, derived from the Japanese Konjac plant root, allows for an efficient and deep cleansing of your face. Thanks to the irregularity of the surface and the capacity of the natural fibers to capture water and release it gradually, Natural Sponge removes dead cells and excess sebum with an effective but delicate exfoliant action. Suitable for all skin types, in particular for very oily or easily irritable skin types, Natural Sponge is an innovative solution for the daily cleansing of your face. The handy cord allows it to be hung up to dry after use. It was pretty unclear to me how to use the sponge. Do you cleanse your face with the sponge and a cleanser or do you only use the sponge? I decided to Google it and saw that there were several bloggers who used it with only water. So I used it with only water for a few weeks. How do I use it exactly? First I removed my make up like I always do before I hop in the shower. Normally I would cleanse my face with a cleanser (with or without Clarisonic) in the shower, yes, I double cleanse. Now I use the konjac sponge only to cleanse my face. There's a cord going through the sponge, so you can hang it up. After it hangs for several hours it starts to dry and when you leave it for a day, it becomes hard. So you have to dampen it again before use. I dampen the sponge and gently squeeze the water out. I wet my face and gently rub the sponge over my entire face, my eyes as well. It's very gently exfoliating my face and it feels a bit gummy. I don't really know how the describe it. My cheeks are a bit sensitive and the sponge is very gentle to my cheeks. After I get out of the shower my face feels very smooth. However, I like the cleanse my T-zone (especially my nose) with a product the removes sebum and unclog pores, because I have a very oily T-zone and don't think that the sponge itself does enough for my T-zone, especially my nose. So what I like to do is cleanse my face with product and konjac sponge. I use Lush Fresh Farmacy with the sponge and make sure the rinse it all out when I'm done cleansing my face with it. I like how soft it is to my face and that it's not aggressive at all. So if you have sensitive skin, I definitely recommend this method! 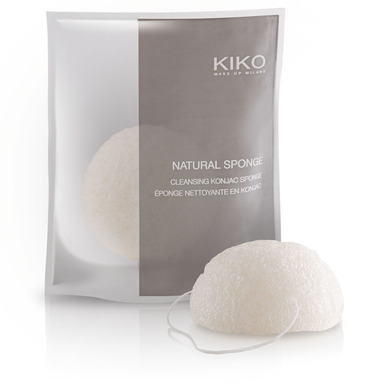 Have you already tried the konjac sponge? How does it work for you?